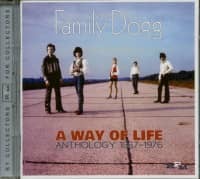 The Family Dogg is self explanatory. 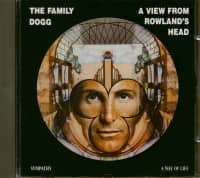 Five solo voices, each with a particular character of its own, when blended in conjuction with the others produces an original and versatile sound. A sound of today. Five fine voices, five distinct personalities all with a 'family' common interest - to achieve success and recognition as performers. Steve Rowland, by trade a successful recordproducer (Dave Dee, Dozy, Beaky Mick & Tich, The Herd, P.J. Proby etc.) and in his home country America as well in Spain known as a singer and actor, is the originator, founder member, leadsinger and obviously producer of the act. To say the group was formed is untrue, it was more a happening. 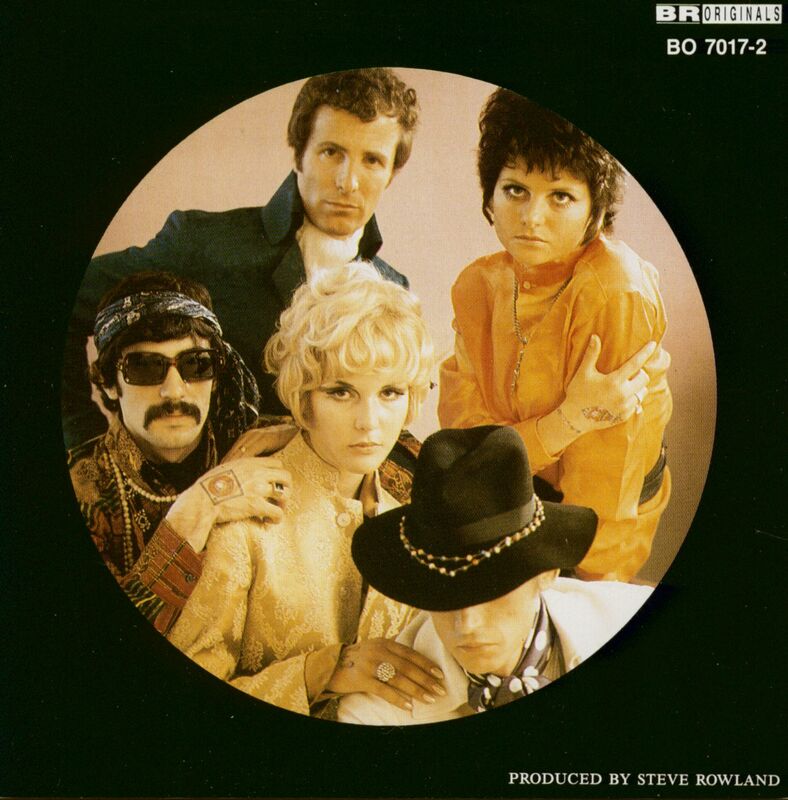 Mike `Zac' Hazlewood writes lyrics to Albert `Laz' Hammond's melodies, the partnership proving succesful with numbers like 'Little Arrows' by Leapy Lee and 'Make Me An Island' by Joe Dolan. It was through this talent they met Steve, who much to his amazement had already been introduced to Albert in their Spanish groupy days, both were fronting various home grown acts. 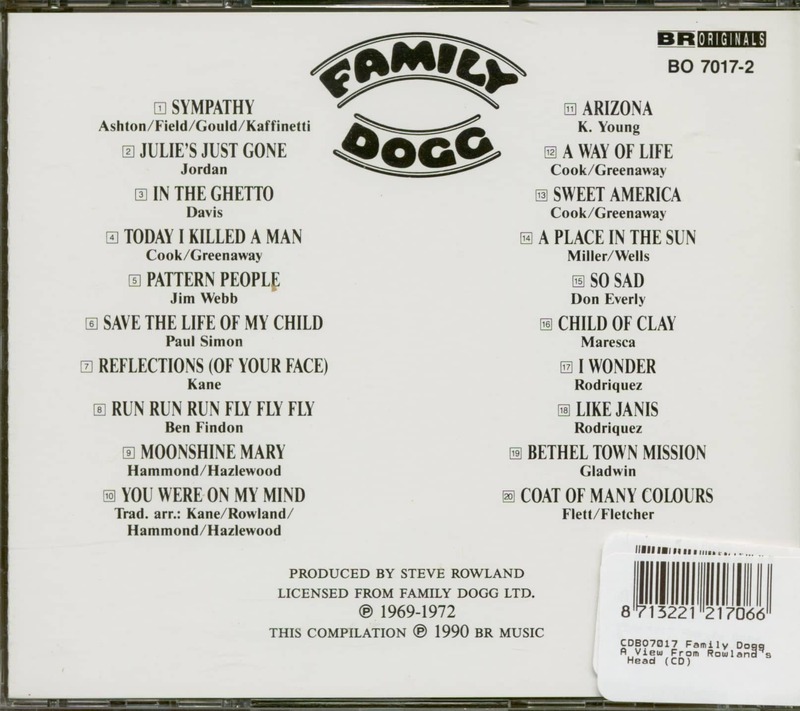 The relationship between the trio began by working sessions as backing vocalist with Steve producing and grew into the concept of the Dogg. The automatic choice for number one girl singer was Zooey, who has known and worked with Steve ever since he arrived in this country from Spain, in 1966. She has the most effervescent personality and the highest harmony. line. By day she works sessions, tours with various 'names' as backing voice and makes beautiful clothes. Girl singer number two was far more difficult since not only the balance of harmonies had to be just right to fit the existing four, but also she had to compliment Zooey in looks and personality. Ireen Sheer was found, the perfect match not only for Zooey, but for the whole group. The group now is complete. Dogg? Also self explanatory-Steve Rowland's favourite creature. Two 'g's' - we feel three is ostentatious. Stop end. 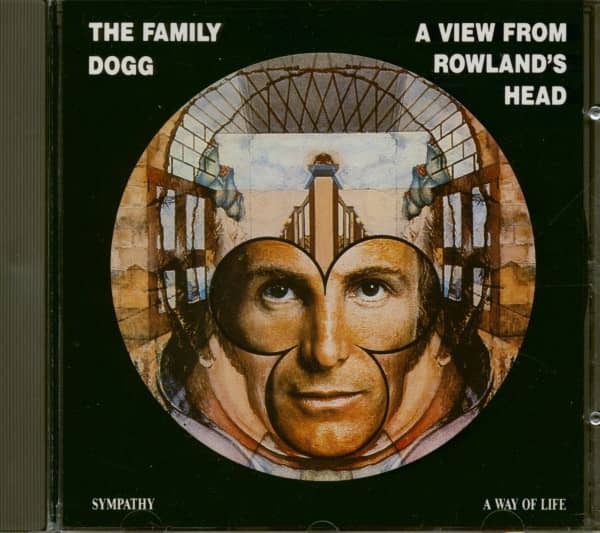 Customer evaluation for "A View From Rowland's Head - Sympathy (CD)"